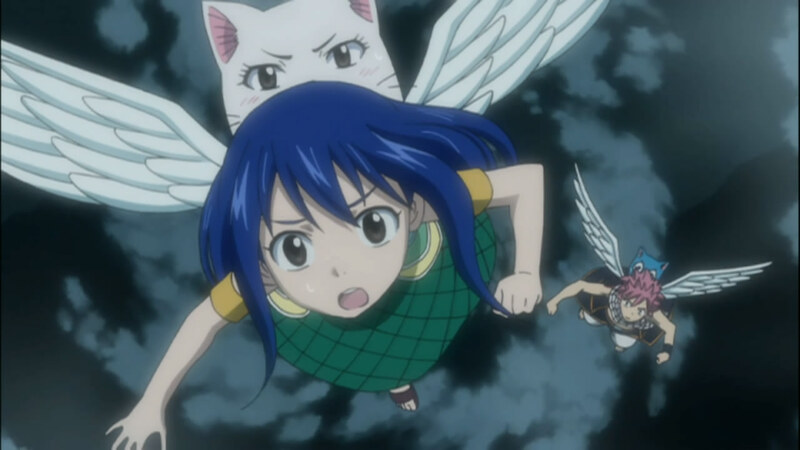 The group fumbles around until they finally land close to… FAIRY TAIL! 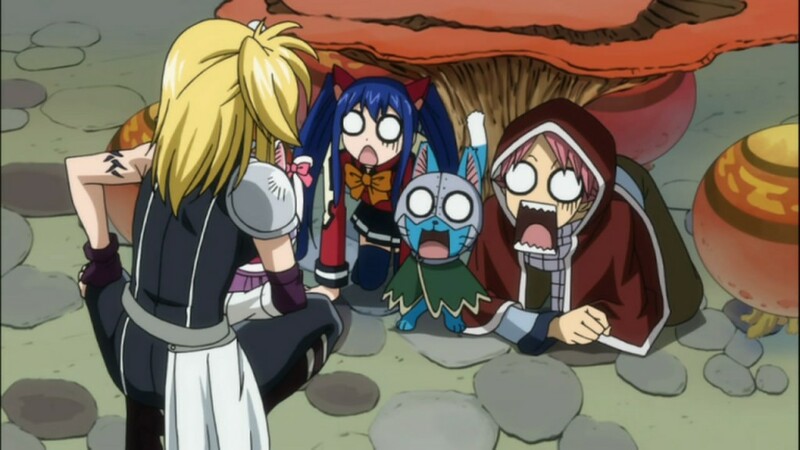 In Fairy Tail, everyone personalities are totally different. I can definitely say that the new arc is already delivering on the promise and potential that I was sure it had. 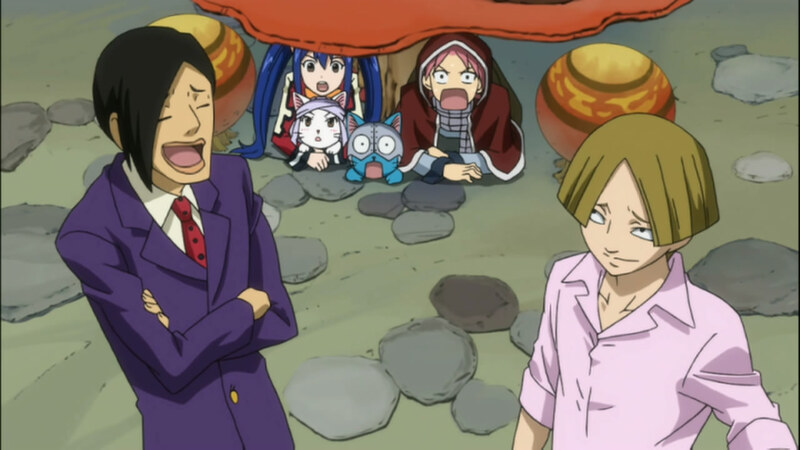 We get some interesting new revelations about Carla, Happy and Mystogan, and we finally get to see the world of Edolas. Quite a great episode I’d say! 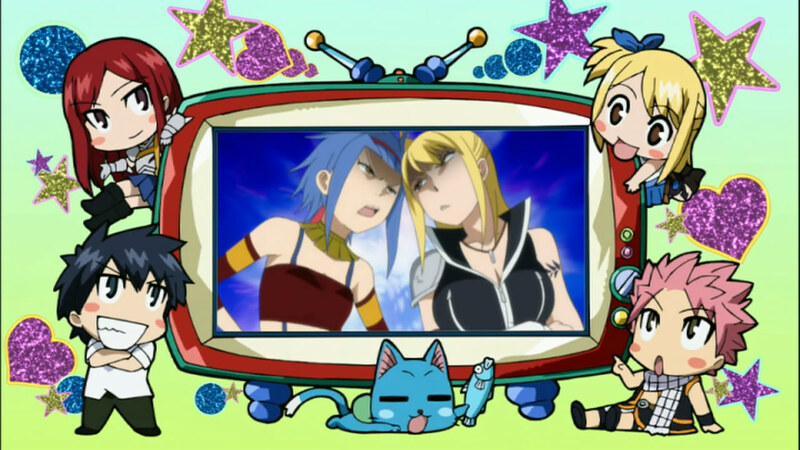 The information about Carla and Happy was definitely interesting, even if not much was revealed just yet. Apparently Happy and Carla were actually sent from Edolas by the King of that world himself! 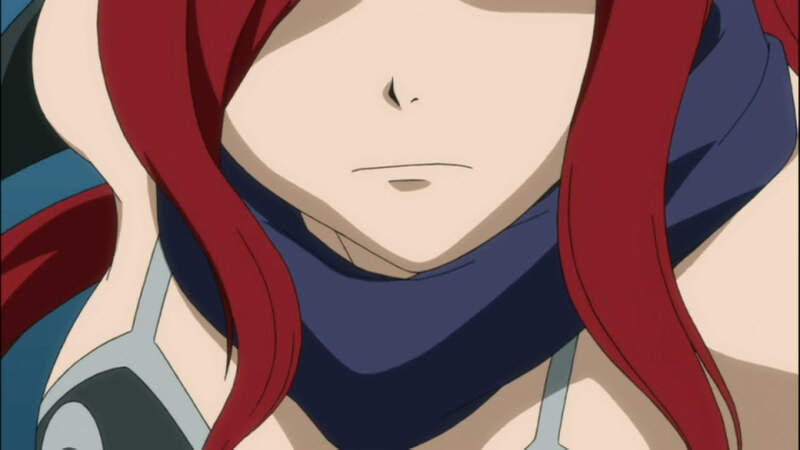 They were apparently on some mission, that is actually unrelated to Arima. It seems that Mystogan was defending Earth Land all by himself all those years, closing every Arima that he came across. 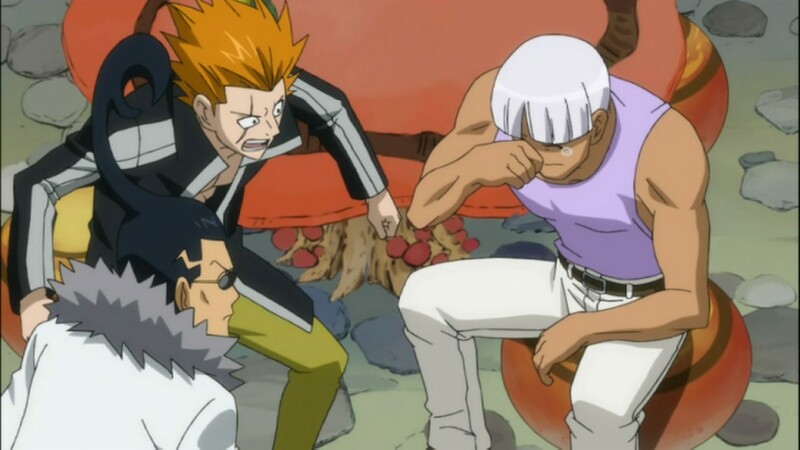 Of course, the poor guy could only do so much, and Fairy Tail was absorbed by the largest Arima yet. 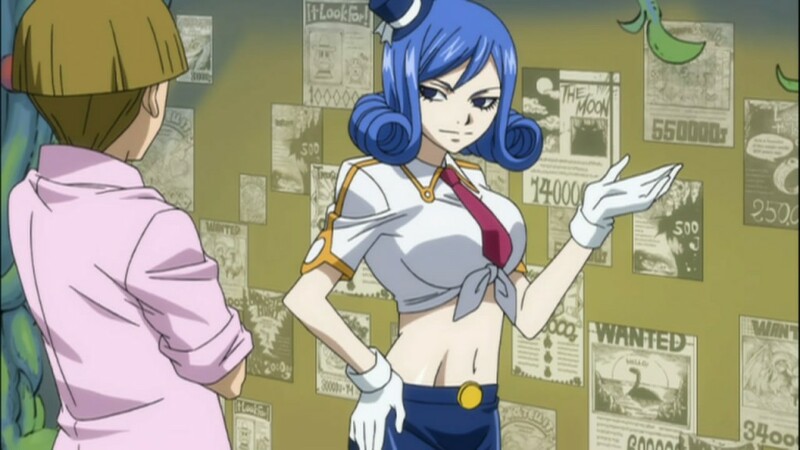 Its very interesting that Edolas is kind of like the anti-thesis to Earth Land, the world of Natsu and co. They’ve got limited Magic, there are frankly no real laws of physics in that place. What’s most disturbing though is that the world’s leader is not afraid to just TAKE the magical power from another world to save his own. I can’t help but think that a guy smart enough to create an inter dimensional portal, would not be able to figure out some kind of alternate solution. In a broader sense, this whole event represents a kind of Mini-war between Edolas and Earth land, with Fairy Tail caught right in the middle. It’ll be very interesting to see what this arc does to the status quo of the series. 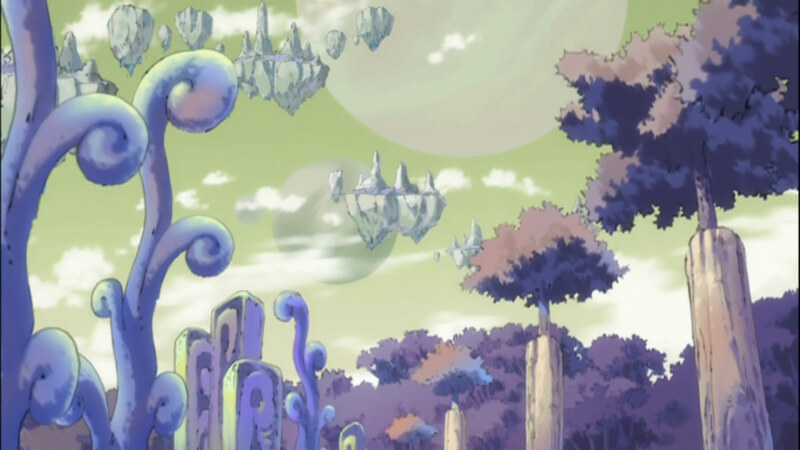 Are Edolas and Earth Land going to interact on a more regular basis? 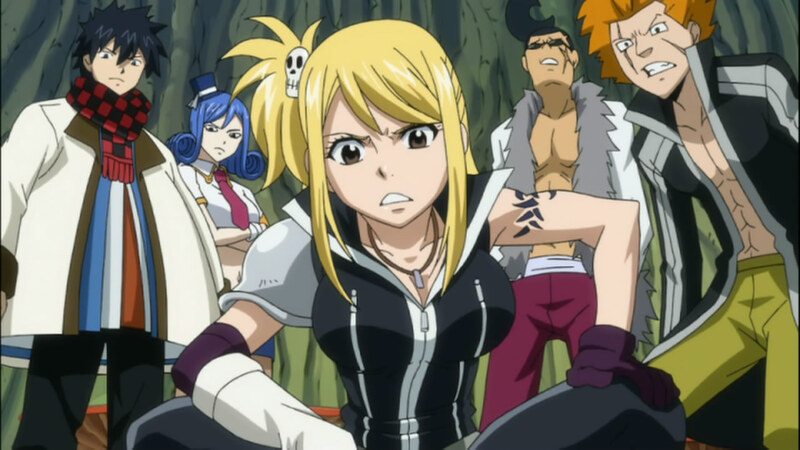 Or will Natsu and everyone else close the lid on the whole issue at the end of this arc? A lady like Canna? 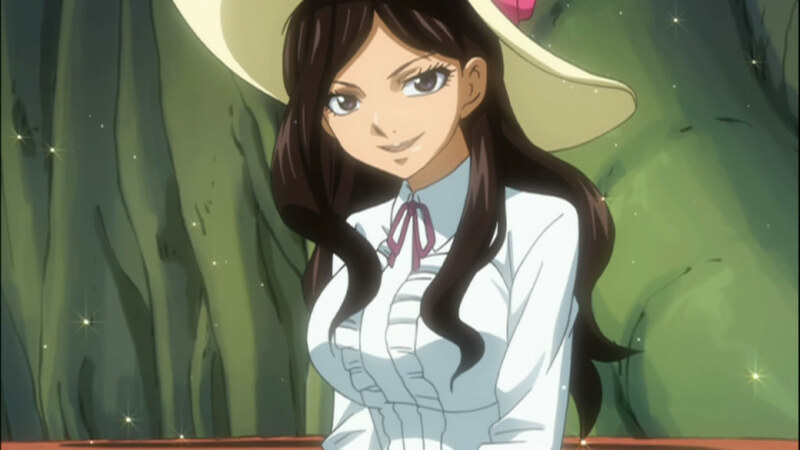 And the much awaited, Tom boyish Lucy! 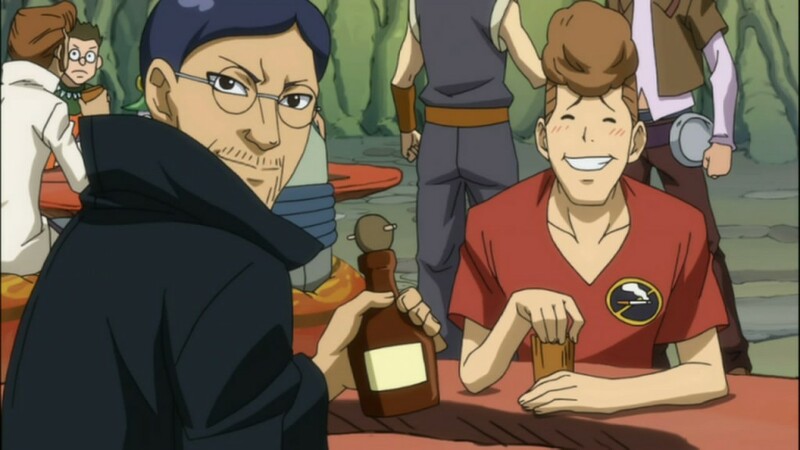 The last thing I’ll say is how awesome and ingenius this arc is. It takes the established characters that we’ve grown to love, and just totally reverses their personality traits. Its a simple idea, but damn if it isn’t well executed. 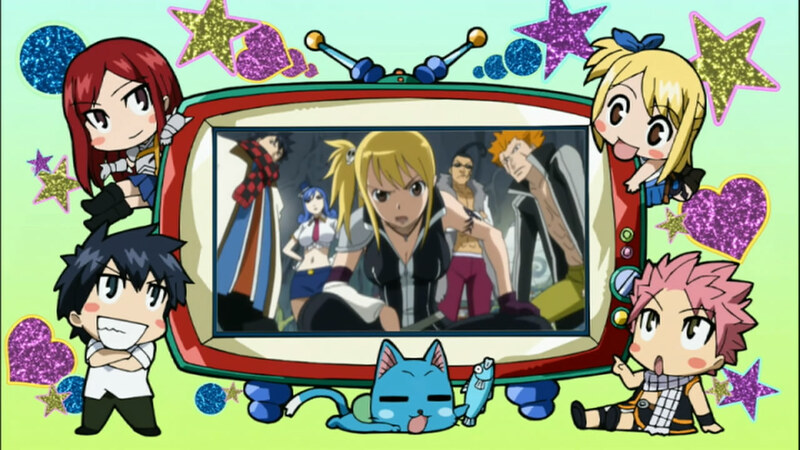 This episode was more about Natsu and Wendy arriving in Edolas and finding their bearings. 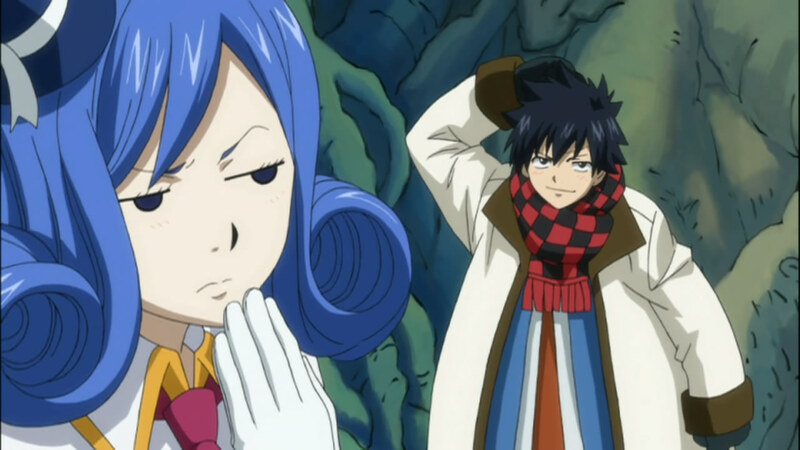 Now that they’ve arrived at the Edolas Fairy Tail, things are going to get interesting! I eagerly look forward to the next episode.